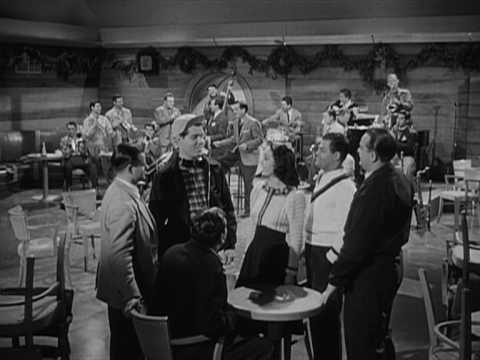 Perhaps the best remembered of the big band era vocal groups, the Modernaires are most often associated with Glenn Miller. Though they only worked with Miller for the last year-and-a-half of the orchestra’s four-year existence, they became identified with his sound in such a way as to become inseparable from the bandleader’s legacy. Formed in Buffalo, New York, as a high school trio, original members Hal Dickinson, Chuck Goldstein, and Bill Conway initially called themselves either the “Don Juan Two and Three” or the “Three Weary Willies.” They performed on local and national radio as the Blue Ribbon Boys before joining Ray Noble’s band. It was Noble who suggested the name Modernaires. In 1936, they sang with Charlie Barnet and then worked for Ozzie Nelson, who billed them as the Three Wizards of Ozzie. Adding Ralph Brewster, the group expanded to a quartet to join Fred Waring’s radio program, where they formed part of V-8, a combined vocal ensemble with Bea and the Bachelors. In 1937, they recorded with George Hall’s orchestra and in 1938 joined Paul Whiteman, appearing on his radio show as well as touring and recording with the orchestra. 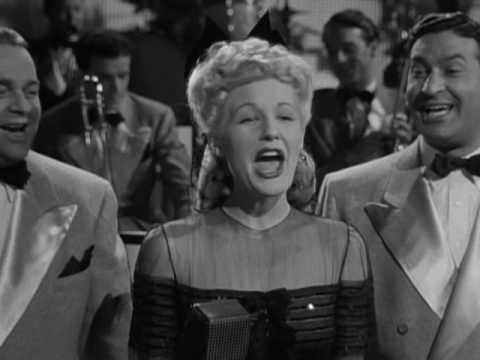 They left Whiteman in April 1940 and began singing in the Broadway musical Walk with Music the following month. 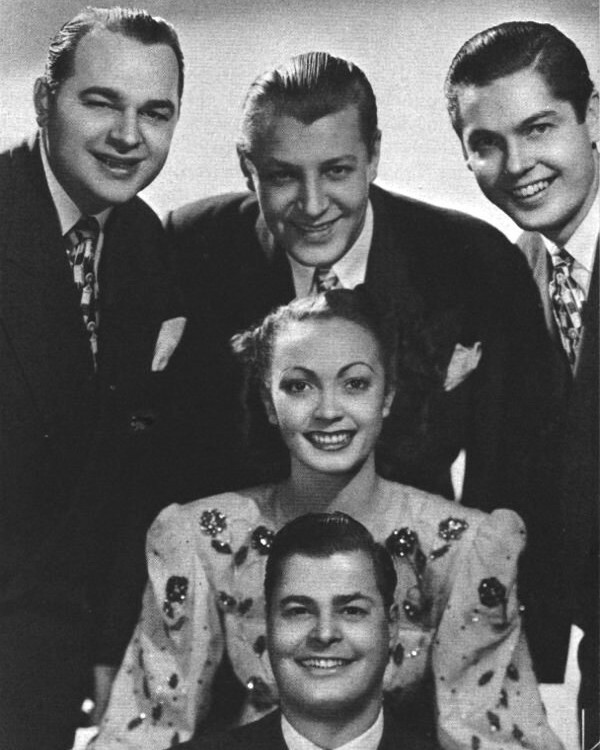 They also appeared in their own radio program from 1939 to 1941. The Modernaires joined Miller in January 1941. When Miller’s female vocalist, Marion Hutton, took leave of absence early that year, Dickenson’s wife, Paula Kelly, filled in for her and began to accompany the quartet on numbers. When Hutton returned in August, she continued Kelly’s role of vocalizing with the ensemble. Neither woman was considered a member of the group however, as is often written. Modernaire Hal Tennyson, who also played tenor sax, occasionally filled in for sick or absent Miller musicians and later went on to become a member of Ted Powell’s outfit. After Miller disbanded in September 1942 to enter the service, Hutton and three of the Modernaires initially planned to form a quartet for radio work. 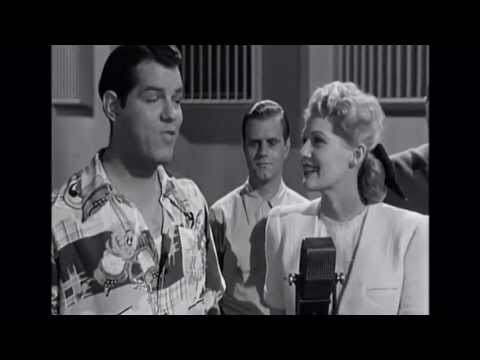 A fourth male vocalist joined the vocal group, however, and they set out with both Hutton and Tex Beneke, booking road dates as the Glenn Miller Singers. Hutton and the group continued touring together under the same name when Beneke was drafted in December, with Johnny Drake replacing him. Hutton was not an official member of the group at that time time either. Promotional and booking material always referred to her and the group separately, with the men calling themselves by their oft used alternate name, the Four Modernaires. The combined act proved a huge success, appearing in one film, Crazy House, for Universal. When Hutton left the tour in August 1943, Kelly replaced her and eventually became an adjunct member of the group, which toured and recorded as the “Modernaires with Paula Kelly.” She stayed with them until her retirement in 1978, replaced by her daughter. Dickinson was the only original member of the group to remain for the duration, appearing until his death in 1970. The ensemble played one last engagement with Miller, via a three-way radio connection that included Hutton, on September 2, 1944. The broadcast was heard by soldiers in England and France. The Modernaires remained popular long after leaving Miller, touring and recording often. Their success lends itself to a willingness to adapt to changing musical tastes while at the same time celebrating their big band roots. They appeared on many radio and television programs, spending four years on Bob Crosby’s popular CBS daytime television show from 1951 to 1955, and from 1965 to 1969 as regulars with Red Skelton. A group bearing the Modernaires’ name still performs to this day. Much of the Modernaires’ history is shrouded in seventy years of publicity material, which is notoriously unreliable as a source if not completely dismissable. Sixty years of bad research, based on that publicity material, has muddied the waters even more. The information on this page was assembled from a mixture of contemporary and modern sources and aims to be the best factual history of the group that it can. It was often easy to sift through what was fact and what was false. For instance. the Modernaires did not join Miller in the late 1930s as is typically stated. They sang with Whiteman until April 1940 and appeared on Broadway in the latter half of that year. The date of Paula Kelly’s joining was also not 1942 as usually listed. Sources at the time clearly show she joined in August 1943. “Duce and Hitler Toasts on Air.” Spokane Daily Chronicle 6 May 1938: 11. “Band Leader Experiments With Music.” Ottawa Citizen 1 Oct. 1938: 28. “Whiteman, Waring Bands to Be Heard for Chesterfield.” The Victoria Advocate [Victoria, TX] 7 Sep. 1939: 2. Radio Schedule. The Pittsburgh Press 28 Nov. 1939: 22. Cohen, Harold W. “The Drama Desk.” Pittsburgh Post-Gazette 29 May 1940: 21. Radio Schedule. The Pittsburgh Press 21 Jan. 1941: 9. Lino, Al. “Remember April 1940?” St. Petersburg Times 22 Apr. 1945: 39. “Artie Shaw Orchestra, Modernaires Have Stood the Test of Time.” Toledo Blade 8 Apr. 2005: D-7.